Campdrafting is a uniquely Australian horse sport which has been in existence since the 19th century and originated on the vast Northern Cattle Runs, where fences and yards were few. Cattle were sorted or “drafted” for different reasons, calves for branding, weaners to other parts of the run, or fats for sale. Friendly rivalry existed between stockmen as to who had the best camp horses. When not working, the stockmen competed to prove their claims and pass the time. As you can imagine, the odd bet was placed at these impromptu competitions and at the end of a day’s work, there were yarns a-plenty around the campfires. 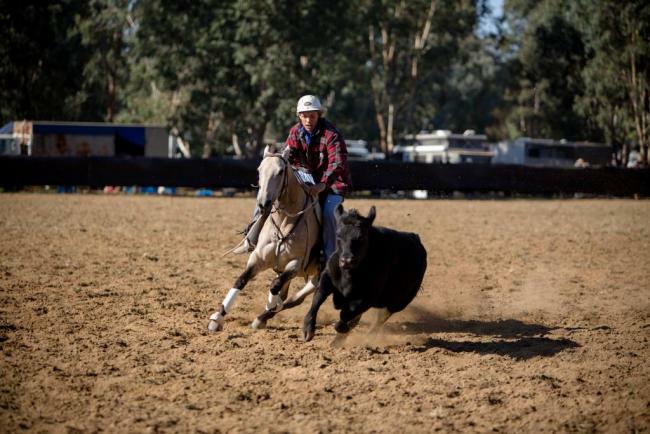 It is from these competitions and social gatherings that the more formal Australian sport of campdrafting evolved. Today campdrafters range from amateur to professional stockman, with whole families testing their riding and horse skills against each other and the cattle. The aim of the competition is to cut a beast from a small mob in the camp, moving their horse among the cattle quietly and bring the chosen beast to a gate at the other end (front) of the (camp) yard, for a short time blocking the beast two or three times preventing it from returning to the mob. When the competitor feels that control of the beast has been demonstrated to the judge, they call for the gate to be opened. 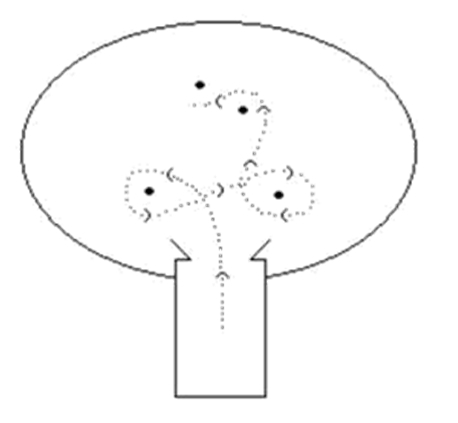 Once on the arena, the competitor is working against the clock (forty seconds) to guide the beast around two pegs in a figure of eight pattern, and then drive the beast between a final two pegs known as the gate. The best combination of control of the beast, riding skills, speed and completing the course scores the highest points. It is not unusual to see a beast gated in under twenty five seconds, demonstrating the speed and agility of the specially trained horses. The ability of the horses, combined with breathtaking horsemanship, makes campdrafting a sport for both competitors and spectators.